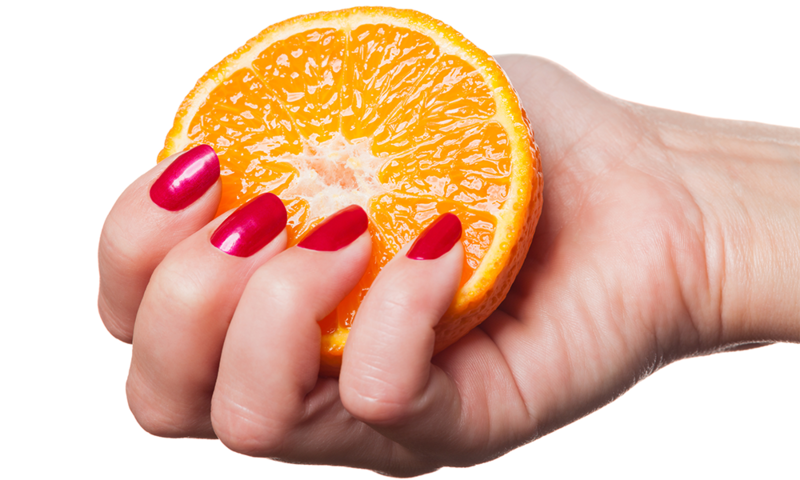 Instantly strengthen brittle nails with this quick mix of orange juice, garlic and olive oil — a vitamin packed cure that repairs weak nails super fast. 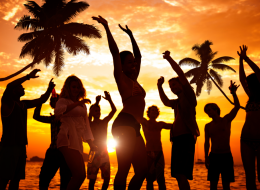 There are a million reasons why your fingernails and toenails can become weak, flaky, ridged and just plain ugly, but fortunately you don’t have to wade through a million remedies to find a cure that works. No matter what’s causing your brittle nails, a simple mix of common kitchen staples can strengthen nails and get them back into healthy, shiny shape — in just two weeks! Do Nails Really Need To Breathe? Mix the orange juice and the garlic in a small bowl. Soak either your fingernails or toenails in the solution for 10 minutes. Repeat on the other hand or foot. Allow your nails to dry for about 15 minutes. Pour the juice mixture out and replace it with the extra virgin olive oil. Soak your fingernails or toenails in the oil for five minutes. Repeat on the other hand or foot and rinse afterward, if desired. 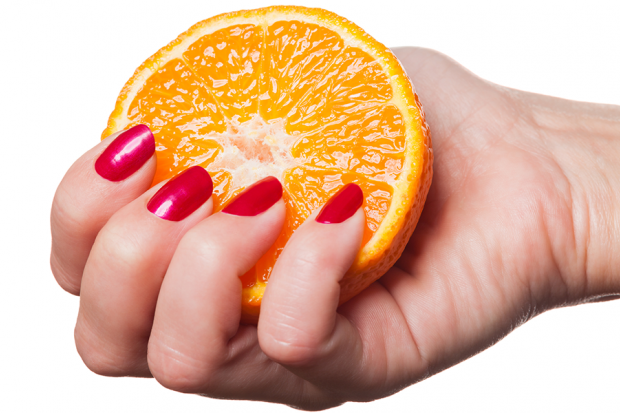 For best results, soak your affected nails in this orange juice, garlic and olive oil nail soak twice a week. And for more information on how this brittle nail strengthener works, check out this popular YouTube video below.